Should You Serve Alcohol at Your Teen’s Party? The logic seems compelling – in favor of allowing underage drinking in private homes with parental supervision. After all, a thoughtful parent can recognize the signs of danger and respond if the drinking gets out of hand. And what safer environment is there, than your own home? Conventional wisdom associated with permissive parenting says that if your teen is denied access, he or she will overindulge the minute there is access — and without any supervision. If anything, hosting a party in your home seems like the safest way to go. However, as smart as it might sound, it’s rooted in mythology, not reality. Did you know that a staggering 90% of addictions begin during the teenage years? Those numbers are true for both U.S. and European youth. Early access might logically seem to lead to more responsible drinking practices, but in reality, the opposite is true. In fact, underage drinking and parental supply separately influence alcohol and drug dependence and abuse: Your teen is actually less at risk for addiction if they sneak away to get a drink than if you hand it to them, in your home. Those teens whose parents stick to their guns and refuse to allow them access to alcohol, while discouraging alcohol and drug use even after the legal drinking age, are most likely to be protected from the many adverse effects of alcohol. Now a spokesperson for the Partnership for Drug-Free Kids, Gilbert had her own negative experience with alcohol addiction. 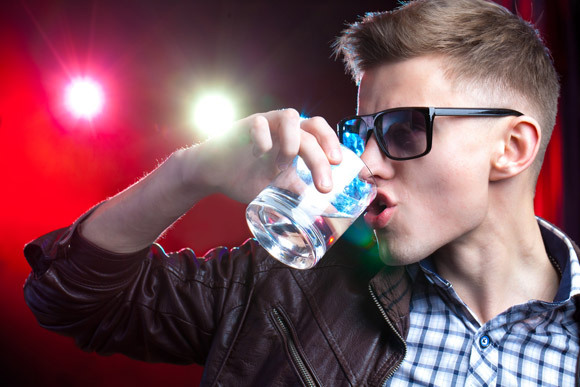 In addition to the physical and life-long dangers to your kids, providing opportunities for underage drinking puts you at risk for legal consequences; while “social hosting” laws vary by state and can mean lawsuits and fines for parents who host. From New Year’s Eve to Prom to Graduation, parents have many opportunities to demonstrate responsible, alcohol-free celebrations. Just because you shouldn’t host an underage drinking party doesn’t mean you shouldn’t entertain your teen’s friends! Teaching your teen to plan a party, coordinate décor and activities around a theme, and even order or prepare favorite foods and non-alcoholic beverages can be an exciting exercise in promoting responsible choices. 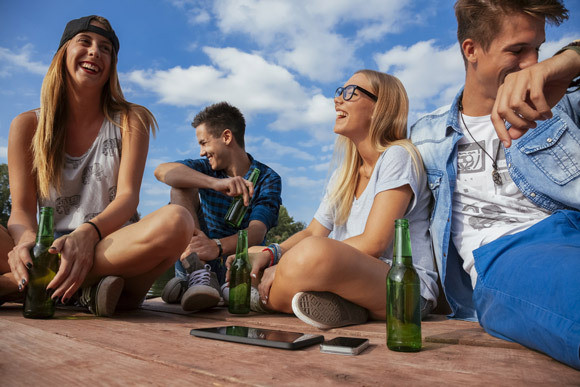 Between alcohol and technology, teens often lack imagination about how to entertain themselves and actually interact with one another socially. You can easily find ideas for party games and themes like glow parties online.